You might have thought that the blackout-party was over, but you’re wrong! 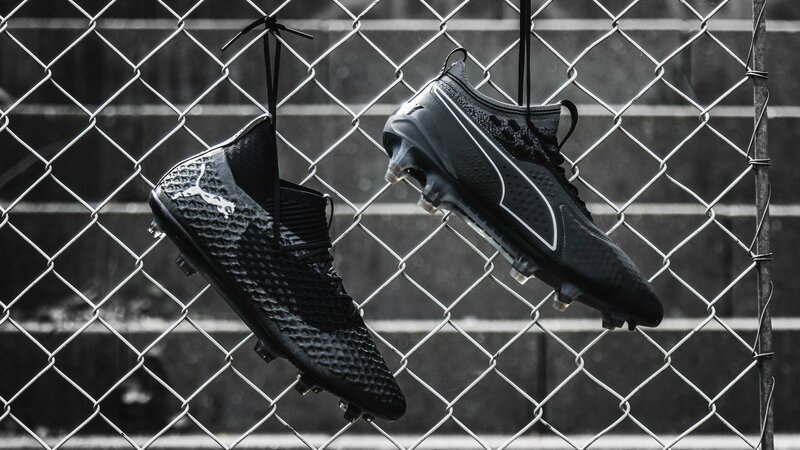 You can’t have to many blackout boots in your life, and now PUMA is ready to launch their Limited Edition Eclipse Pack! 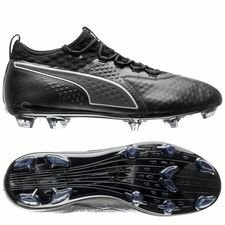 Let’s take a closer look at these stunning blackout boots. At first they pretty much look completely blackouted. But they are more than just that! The Eclipse Pack is made for the fans of blackout boots, that solemny swears to this colourway. The Eclipse Pack draws inspiration from an Eclipse, funny enough, where Earth’s view of the sun is obscured. The black detail is the eclipse on it’s peak, while the silver and greyish details takes inspiration from the moon, when crossing the Earth’s view to the sun. 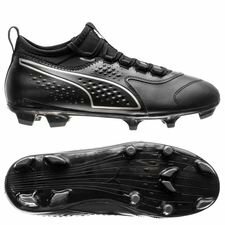 The PUMA Future is made in completely black, but with different shades, while the branding of the PUMA logo is made silver. 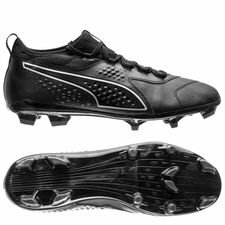 The NETFIT construction on the boot is made in a darker shade of black, which highlights the NETFIT area of the boot, and the same goes for the sock construction. 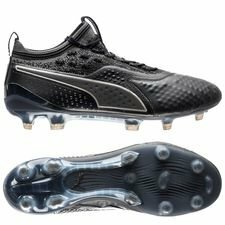 PUMA has added an extra pair of colourful laces to the Future boots, which gives you the opportunity to make your boots even more unique. This will also make your personal lacing more visible, so you can show all how you rock your laces. 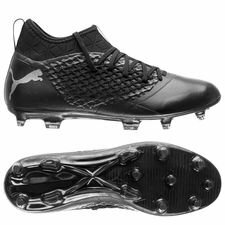 The PUMA ONE is made with a bit more details, which really suits this boot when it is made in a blackout colourway. The upper of the boots, the leather part and the heel, is made in a darker shade of black. 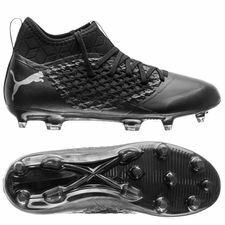 The branding on the midfoot has also been given a lighter black colour, while it’s been given a greyish shade. The lace area really expresses the Eclipse mindset. The area is made with a grey pattern, which is fully grey at the top of the sock, and fades into full black in the bottom, which also tells the story of the peak of the eclipse. 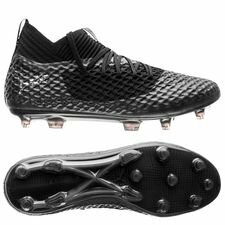 This is a very nice design effect to complement these stunning Limited Edition blackout boots. 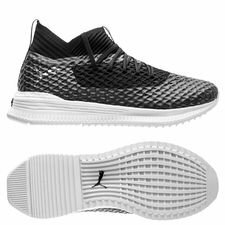 PUMA keeps on surprising with awesome colourways and seem to delivery time after time, which also is the case for the new Limited Edition Eclipse pack. Be the ONE who is the difference in the game, or the Future who is unpredictable and creating plays, taking it all to NewLevels. Available at Unisport from today.